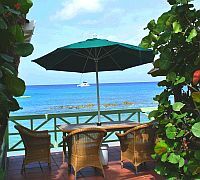 If you're looking for a unique holiday experience in Barbados, then a stay at a boutique hotel on the island is just the ticket! These lovely hotels offer luxurious indulgence while remaining unpretentious and full of Caribbean charm. On arrival you'll be immediately impressed by the excellent range of on-site facilities and in-room amenities offered by these smaller hotels. Noticeably missing are the hordes of travelers typically found at chain resorts. Instead you'll enjoy the personal feeling of these more intimate hotels. And the personal service continues throughout your stay. 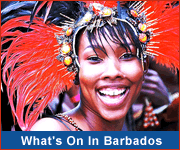 Barbados boutique hotels are typically independently owned, with the owner, manager and staff all fully committed to providing an exceptional vacation experience for their valued guests. Refined elegance and a superb location make Coral Sands Resort perfect for travellers who wish a little indulgence while still being close to all the action. Escape to the tranquil east coast of Barbados and the rustic charm of The Atlantis Hotel. This is seaside sophistication at its finest. Little Good Harbour is a delightful boutique hotel located away from the crowds in a small fishing village on the north-west coast of the island. Relaxed elegance permeates The Sandpiper, an exclusive small hotel with an attentive, dedicated staff. 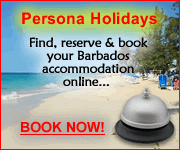 If this doesn't sound like the kind of place you'd like to stay, don't worry Barbados has got accommodation for all! 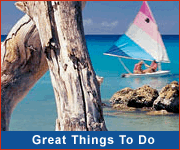 Have a look at the island's all-inclusive resorts or traditional hotels instead.